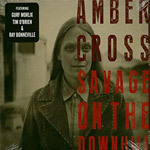 Upon first hearing the straightforward, old-school country songs of Amber Cross, you might at first think you are listening to an archival Smithsonian recording. Her old-time voice is clear and captivating, like a strong muscle fringed in lace. She’s a singer and songwriter who writes from her own life’s struggles and experiences, delivering her stories with unforgettable power and emotion. Originally from Maine, Amber spent her early years surrounded by gospel music in a small town church where her father preached and her mother played piano. 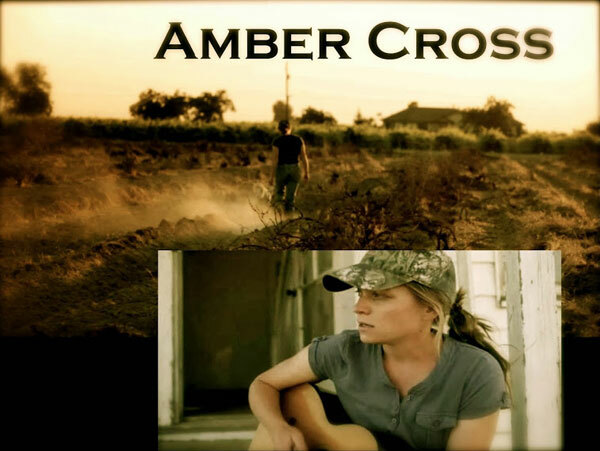 After leaving her studies at New Mexico State University to pursue her love for music in 2003, Amber has lived up and down the coast of California; the San Francisco Bay Area, the Sierra Foothills, the San Joaquin River Valley, the coastal range of Sonoma County, and now San Luis Obispo County. She has opened for such artists as Ramblin’ Jack Elliott, Dave Stamey, Gurf Morlix and Mary Gauthier, as well as made frequent guest performances with The Wronglers, Warren Hellman’s band, founder of San Francisco’s Hardly Strictly Bluegrass Festival. Click here to purchase the new CD: Savage on the Downhill. Amber released her debut album, You Can Come In, in March of 2013. The largest country music magazine in the UK, Country Music People Magazine, discovered the album and gave it a 5 Star Review and CD Of The Month in their May issue, saying “every now and again a debut CD arrives and you know about 30 seconds in that you are experiencing something a bit special… it’s appeal is likely to be broad, from bluegrass, rootsy Appalachian, to country or honky-tonk. Amber performs solo and in band arrangements. She is often accompanied by long time friend and Cajun/old-time fiddler Gary Arcemont, and James Moore on guitar. The two men play a variety of instruments to support Amber’s songs; fiddle, banjo, harmonica, mandolin and upright bass, as well as offering vocal support.